GP Premium 1.7 is a big update with various fixes, tweaks and new additions! The biggest change in 1.7 is the addition of Elements, our newest module. This new module replaces the Page Header and GP Hooks modules. Of course, those modules will still exist and function as they do now if you’re using them. When and if you’re ready, you’ll be able to manually migrate your old Page Headers and Hooks to Elements. For more information on migrating, check out this video. Once you’re done migrating, you can deactivate the old modules, and they will disappear from the list. New installations will no longer be able to activate Page Header or GP Hooks. Check out the Header Element documentation here. The Header element replaces our old Page Header module. This element has most of the same options as the old Page Headers. When you create a new Header element, you have a couple choices. The Page Hero section allows you to build a hero section which will sit below your site header. This is what was previously known as a “Page Header”. The Site Header section allows you to make changes to your site header. This includes things like changing the site logo, merging the site header with the content below it, and even changing the navigation location. Check out the Hook Element documentation here. The Hook element replaces the GP Hooks module. This element allows you to insert content into any available hook on your website. There’s a list of available GP and GP Premium hooks, and there’s a custom hook option that allows you to define your own hook name if it doesn’t exist in the dropdown. Check out the Layout Element documentation here. 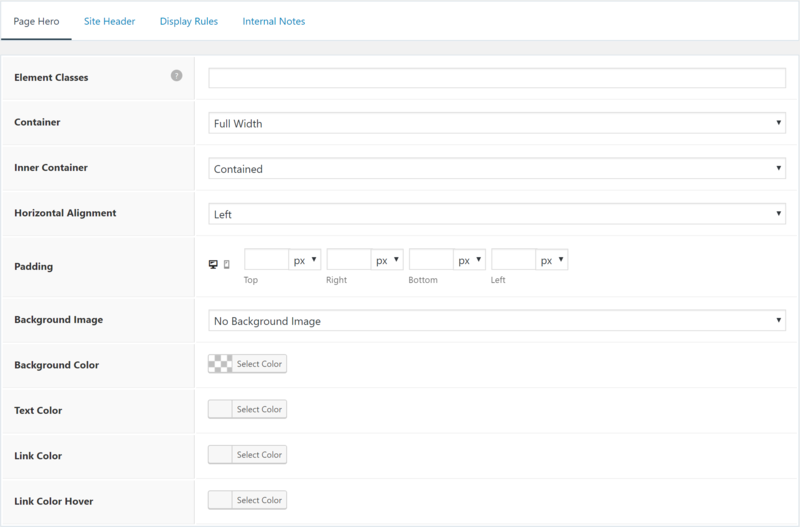 The Layout element allows you to set the same options you’re used to in the Layout metabox, but on a site-wide scale. Each element has a Display Rules tab. This tab is the true power behind this new module. Wow, beautiful update! Can’t wait to fiddle around with the new stuff. This looks like a great update, thanks for your work on this. 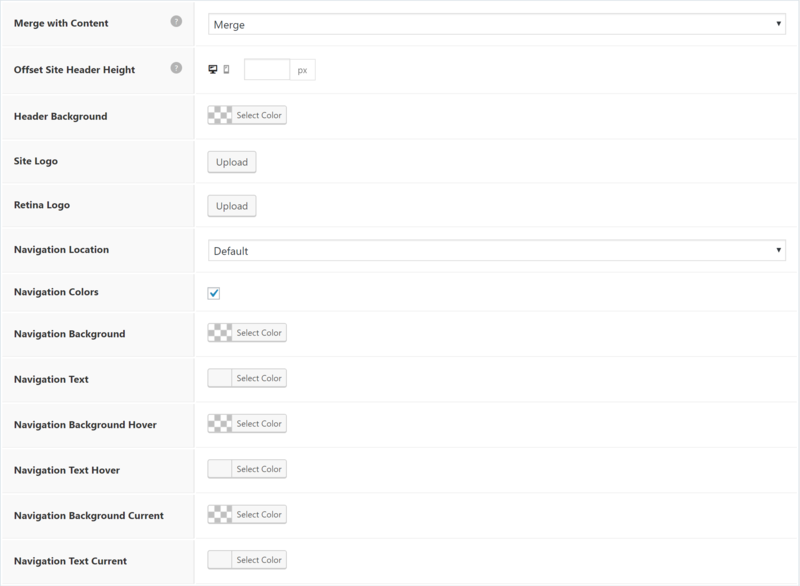 I have a question about the Layout Element setting for sidebars – in the current version of GP Premium, I can set the default layout in the Customiser > Layout > Sidebars. How does the new layout element setting for sidebars work with this, as it seems that they both so the same thing? Does one take precedence? Or will the layout element replace the customiser setting? Or am I missing something? That makes perfect sense, thanks Tom. Now that I’ve played with it a bit more, this looks like a really powerful and flexible option, especially when combined with display rules. Very cool! I love the new WooCommerce updates and add-ons! Thank you Tom! 1) Will BuddyPress support the display rules? 2) Do you add support for widgets/sidebar for conditional logic? I’ve had to made a custom plugin that works with GP Premium that does almost what the new Elements feature does. It’s sooooo exciting to see this is not apart of GP. Now I have to see about migrating my plugin stuff to work with Elements. That’s ok. It’ll be worth it. Just wanted to say THANK YOU for making this. I use GP Premium on my client website which are all high-traffic (enterprise) websites. This is a big improvement. Great job! Does this mean that Sections is now compatible with Gutenberg? Can you use Elementor Page Builder within the Elements ? Only if you enter an Elementor shortcode into the content area. Is GP Premium 1.7 now fully integrated with Toolset suite. We would need someone to test the two together to know for sure. 1.7 uses a custom post type, so it should be compatible. Is the new GP Premium compatible with https://cobaltapps.com/downloads/extender-pro-plugin/? I use it primarily for the hooks function, but how will it combine with the hooks function in the new GP Premium? Hi, is there a specific method you prefer for reporting bugs? I found something (really minor) but wanted to let you know. Hi, it looks great. What I don’t quite understand: how do I deal with the “old page heads”? Will these be deleted? How can I edit them if I have activated Elements? I really couldn’t find any detailed steps on how to migrate the old Page Headers into the Elements. The video only demonstrated what Elements are or maybe I missed something. I anyway went ahead and recreated the existing Page Headers in Elements. Since they were just 1 or 2, it took me around 2-3 minutes to recreate them. Migrating from the old Page Headers to Elements is more an idea/overview than anything technical, as most of the options are identical. Does this replace the need for Beaver Themer? Just curious as they look very similar. It’s similar in ways (creating elements, using display rules), but we obviously don’t have a page builder like Beaver Builder included. We give you an HTML editor where you can add your own HTML instead. Amazing and wonderful work Tom! This update is something that I was always looking for. I always wanted at least the core customisation options without having to sacrifice the speed and the performance. The 1.7 update has not only made GP even more powerful, but also every GP user’s dream come true. The only element type I found missing is Footer. Just like Header, it would have been great if Footer was also added. This would give us more control on displaying different types of footers across different locations and devices. For e.g. displaying a minimal footer on mobile devices and mega footer on desktops. Oh my… Is it just me or did you just turned GP into the easiest to use and fastest Theme Builder on the market with this update? I still think this will be a great combo for complex design but you made something really great here. The available template tags are in the sidebar metabox while creating a Header Element. We’ll be adding more in time. This module is really awesome! Thank you and congratulations. I’d like to suggest something when adding Hooks on the Display rules you can select Roles to display it. Would be great to have the “opposite” of that. Select one Role to exclude and show it to everyone else. The use case I found out could be useful is to remove the Administrators for getting a script that loads some tracking for usability and such while keeping everyone else in). Again, thanks for such a great update, Tom! Technically you could choose the user roles to display to, and exclude the others. However, I agree it would be useful to have the option to exclude certain roles as well. Has this been implemented? I have GP Premium 1.7.8 but can’t see an exclusion role based and I was after the same thing, basically exclude an hook to run for the admins. this is so cool~thanks for updating. I found it a little bit technical. Should I add any code in the post editor box? I can’t make it working? What are you trying to do? Anything specific? This was necessary (at least for me) for saving a lot of time en each post. Thanks a lot for making it possible. Just one question, is it possible to include a tag for calculating and showing the reading time in the header? I change the folder name theme, and GP Premium does not work, any help to solve? Are you getting any specific errors? GP Premium shouldn’t care about the folder name, it just cares whether certain GeneratePress functions exist or not.